Who does not need freedom? I think every body whether as a child, a youth, a student, employee and an Employer in what ever field he /she may be. Needs freedom and would love to have it. But when the whole country is ruled by others entire population needs the freedom to express one self. He is one of the Indian Freedom Fighters and the cause of Indian Freedom. He was the man who really fought for the Puran Swaraj. He was influenced by the teachings of Swami Vivekananda and Ramakrishna after reading their works at the young age of 16, when a child is influenced by the parents only. Later he resigned from the Civil Services in 1921 and came to India from abroad. He represented the radical wing of the Indian National Congress. Being a Nature lover I have affinity with another quote on nationalism. “Nationalism is inspired by the highest ideals of human race, Satyam (the true), Shivam (the God), Sundaram (the beautiful). Nationalism in India has roused the creative faculties which for centuries had been lying dormant in our people”. I am of the view that Nationalism as viewed by our great leader is well represented by Peacock, the National bird of India. When the bird produces his natural sound is not liked by people being the reality as being harsh. (Satyam ).This is the bird which is Carrier (Vahan) of Lord Kartikeya (elder son of Lord Shiva) and whose feathers are adorned on the head of Lord Krishna. This is Shivam. 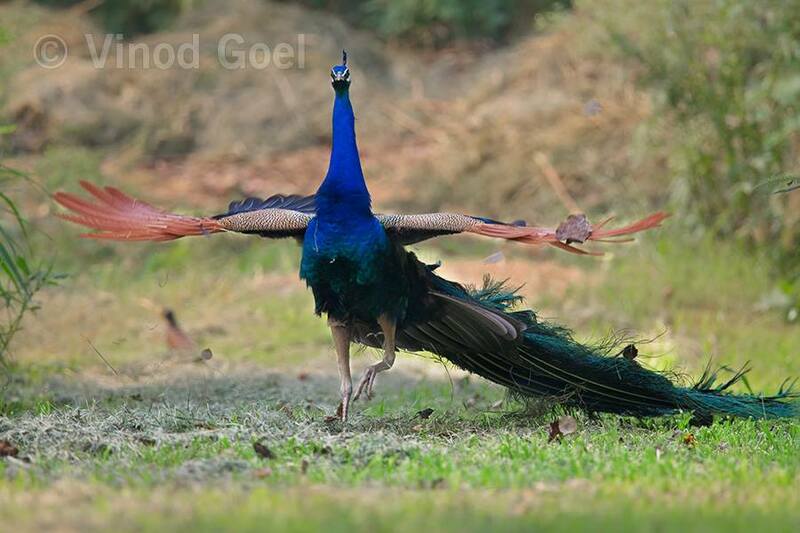 Lastly Peacock is the largest and the most beautiful bird on the earth. This is Sundaram. The whole philosophy of nationalism appears to be contained in Peacock.